Your social insurance number (SIN) is one of the most important pieces of identification you will ever have while living in Canada. Obtaining a SIN is easy. To find out how to get a SIN, keep reading this guide. 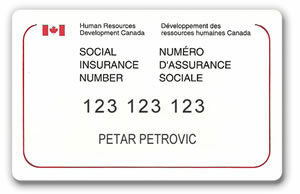 A Social Insurance Number card. Your social insurance number (SIN) is a nine-digit number that helps the government identify you. Applying for your SIN is one of the first things you need to do when you move to Canada. It is important because you need it to be able to get a job, pay taxes, access government benefits and programs. Each person is given their own SIN. This number is unique and cannot legally be used by another person. Protect your SIN by putting important personal documents containing your SIN in a safe place and do not carry them with you. 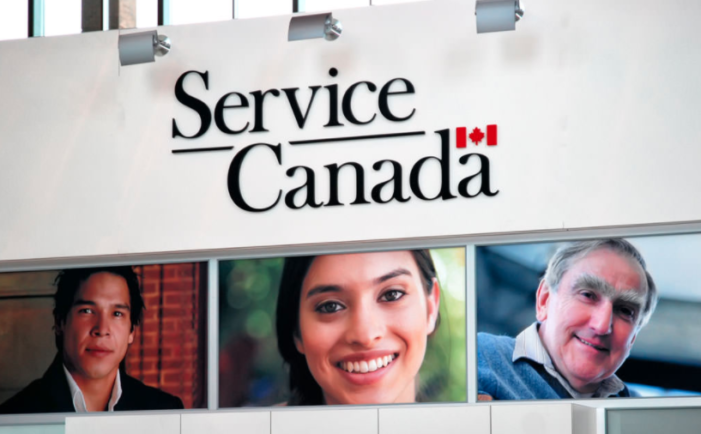 Since 2014, Service Canada has been giving each person their SIN in the form of a confirmation letter (printed on paper). Plastic SIN cards are not being made anymore, but anyone who still has a plastic card that has not expired yet is still allowed to use it. The process is completely FREE. If your child is 12 years of age or older, they can apply for their own SIN (with your guidance). The easiest way to apply for your SIN is at a Service Canada Centre. Here is a list of Service Canada offices in or near Calgary. Service Canada makes it very easy to apply for your SIN. They also allow you to request information about SIN and update your SIN record. Download the SIN application form on the Service Canada website or get it from your nearest Service Canada Centre. Fill out your SIN application form. Gather the specific personal documents you need. The “What to Bring” section of this guide provides more information on this. The documents must be able to prove your identity. Please note that these must be original documents, NOT copies. Bring your completed application form and documents to your nearest Service Canada Centre. You can apply for your SIN by mail if you live more than 100 kilometers from a Service Canada Centre. If you have limitations that make it difficult to apply in person, you can call 1-800-206-7218 (choose option 3) to see if you can apply by mail. If you need help, many settlement organizations in your community can also help you apply for a SIN. *Service Canada will not be responsible if your documents get lost in the mail. You should get a letter with your SIN in 20 business days (or less) from the time they receive your application. If you still have any questions about how to apply for your SIN, visit the Service Canada website here. Note: If you are the parent of a newborn, you can apply for your child’s SIN through the Newborn Registration Service. Visit this webpage for a full list of what documents can be used to get a SIN. a Confirmation of Permanent Residence. Must be paired with either a travel document or a piece of photo identification. a Record of Landing issued before June 28, 2002.
a Verification of Landing. This document can only be used to change a SIN record or to confirm an existing SIN. a Status Verification or Verification of Status. This document can only be used to change a SIN record or to confirm an existing SIN. a certificate of birth. Service Canada will not accept Quebec birth documents issued before 1994.
a Certificate of Registration of Birth Abroad issued before 1977.
is paired with a “confirmation to work off campus” letter issued by IRCC before February 6, 2015. If neither of these requirements is met, you may contact IRCC to discuss other options. a diplomatic identity card with a note of permission of employment. How can you protect your SIN? It is very important that you keep your social insurance number safe and secure. Never share your SIN with another person unless necessary. Employers, banks, and government agencies will usually request your SIN for a good reason. They might need it for tax purposes or to give you access to benefits. Click here for more examples of who can safely ask for your SIN. If you are not sure why someone is asking you for your SIN, you can show them a different document to prove your identity. You can speak to the manager if the document is not accepted. Click here for more information on how you can protect your SIN. What happens if your SIN gets lost or stolen? A new SIN will not be provided if you lose it. If you cannot remember your SIN, you can find it on your income tax return or you can ask for a confirmation of your SIN. Service Canada will give you a new SIN only if there is evidence that it was stolen or used in identity theft. To replace your lost SIN card or confirmation letter you must go to your nearest Service Canada Centre and bring the appropriate identity documents with you. Thanks to Naomi Kim and Paula Ashkar for help with this guide. If you want to suggest a correction to this guide, or want to submit one of your own, please contact us.